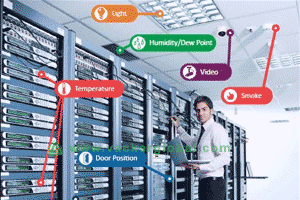 We have installed a complete solution to monitor all possible parameters of a data center and in case any of the parameters exceed the defined limits, a phone call will be made to 4 technicians and a voice mail will be delivered indicating the nature of the fault. Also SMS and emails will be sent simultaneously. All the above parameters will be continuously monitored and recorded in a central computer. A qualified technician was stationed round the clock in the data center. However after installing our integrated solution, the technician is not required and the system is working as expected for past 3 months.